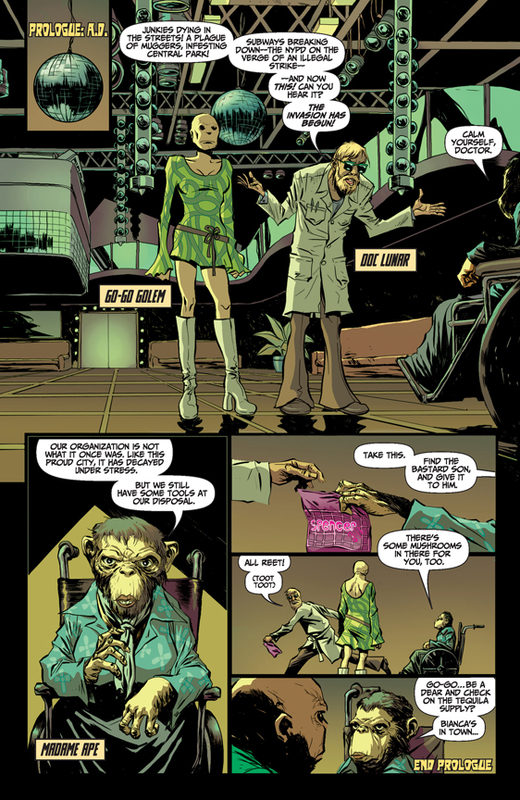 Stuart Moore has written such comics as Captain Ginger, Deadpool the Duck, Egos, and Namor: The First Mutant. Now he, along with artist Alberto Ponticelli and colorist Giulia Brusco, bring you a rip-roaring tale of the 1970s (both AD and BC) in AHOY’s Bronze Age Boogie. Moore shares some of the crazy details about this series with Westfield’s Roger Ash. Westfield: How did Bronze Age Boogie come about? Stuart Moore: I honestly don’t remember how it started. I had all these characters and ideas floating around in my head, and somewhere along the line a structure suggested itself. I was wrapping up Captain Ginger Season 1 with AHOY, so I told Tom Peyer about it. He must have the same sort of brain damage as me, because he got the idea right away. Westfield: Are there any particular Bronze Age creators whose work was inspirational for this series? Moore: From that period, I’m particularly influenced by Steve Gerber and Howard Chaykin. But there are a lot of influences on this book. You can’t write a comic about apes and Martians without Doug Moench and Don McGregor creeping into your head. 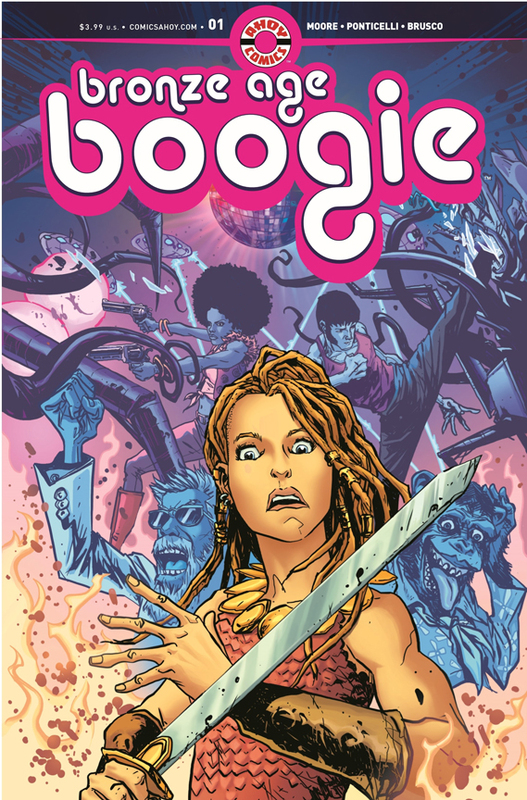 And Bronze Age Boogie isn’t just about comics. It’s influenced by a whole raft of things, including grindhouse movies, old cop shows, Roger Corman movies, and cheesy sci-fi. I want to stress, too: This isn’t a straight imitation of old comics. Alberto, Giulia, and I have all tried to bring a modern sensibility to the material. It’s more of a commentary and a love letter, than an attempt to recreate something. After all, there are plenty of those old comics to read in trade paperbacks and on the digital apps. We’re doing something new. Westfield: What can readers look forward to in the book? Moore: Swords, sorcery, smartass talking animals, foolish wizards, incongruous technology, Happy Days jokes, hope, valor, secluded monks, the fiercely alive squalor of 1975 Times Square, fathers vs. sons, and invading Martians who just keep coming back in their deadly metal tripods, no matter how many times they’re beaten. That’s less than half of it. Westfield: Who are some of the characters readers will meet? 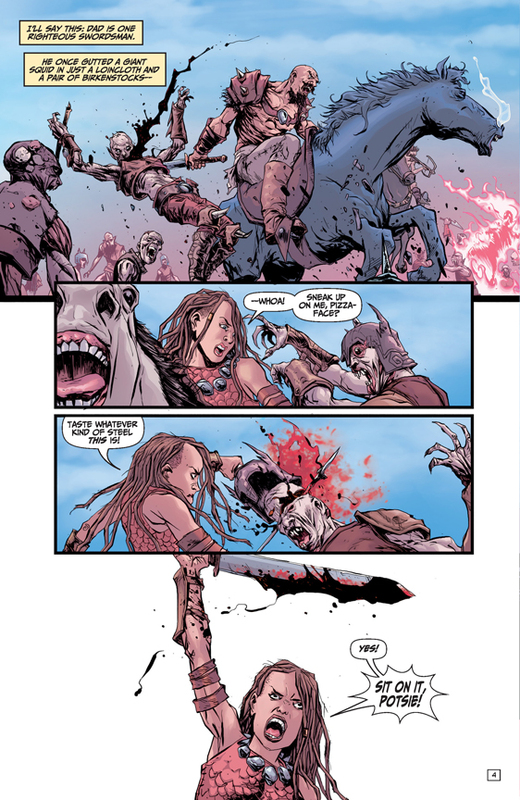 Moore: At first, the story revolves around Brita, the teenage daughter of a barbarian king. She’s dissatisfied, growing up in a world where her options are severely limited. Little does she suspect the UNIMAGINABLE FATE THAT AWAITS HER!!! 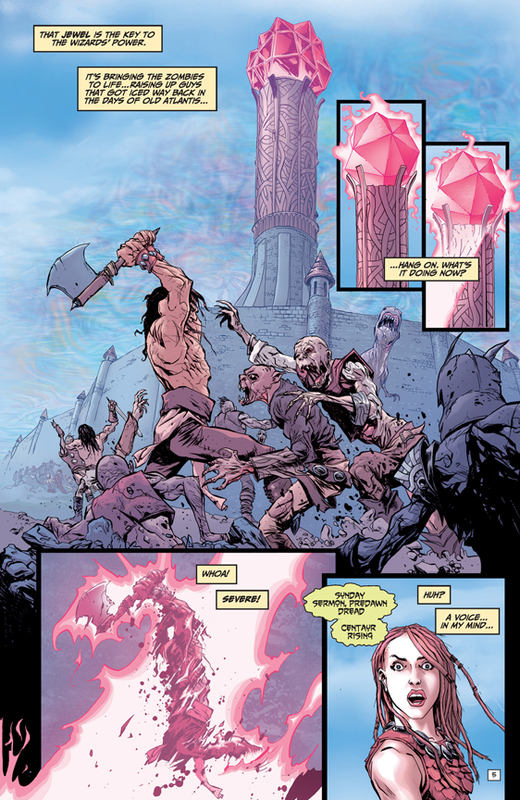 Westfield: Will we find out how a barbarian princess knows ‘70s catchphrases? Moore: Yes! Everything in this comic makes sense. Sort of. Westfield: What can you tell us about your collaboration with artist Alberto Ponticelli? Moore: I’ve worked with Alberto before…he’s absolutely brilliant. 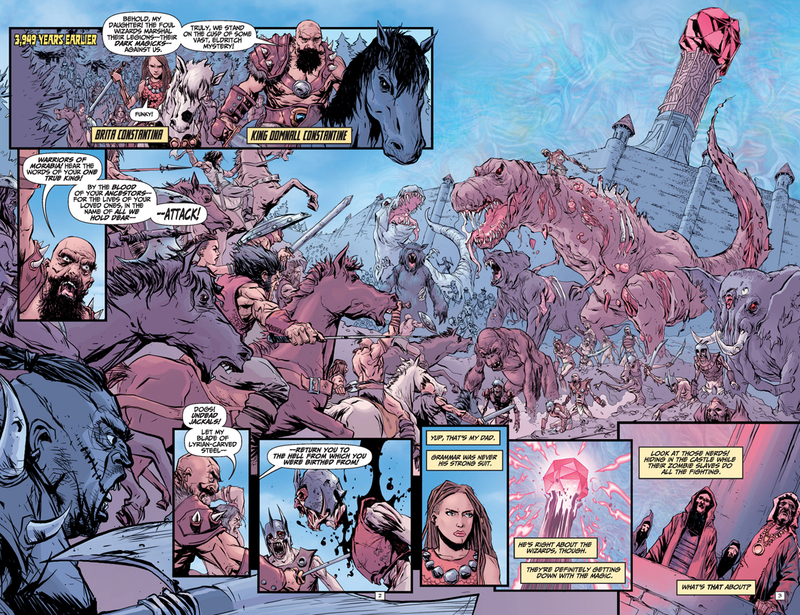 In addition to bringing his martial arts expertise to the page, he does incredibly character designs and vivid, sensory-overload environments. We’re working plot-first, which is a first for me and a real challenge. I couldn’t do it without such a skilled collaborator. I have to mention Giulia Brusco’s colors, too. She brings a strong sense of mood and place to the book. She’s particularly strong on very “warm” or very cold locations, and she really thinks through the color scheme of every scene. She does great special effects, too. Moore: We’ve got a back-feature called Major Ursa about the first bear in space. There’s an awesome creative team on that…we’ll be talking about it more soon. It’s all part of AHOY’s diabolical scheme to give readers more for their money.